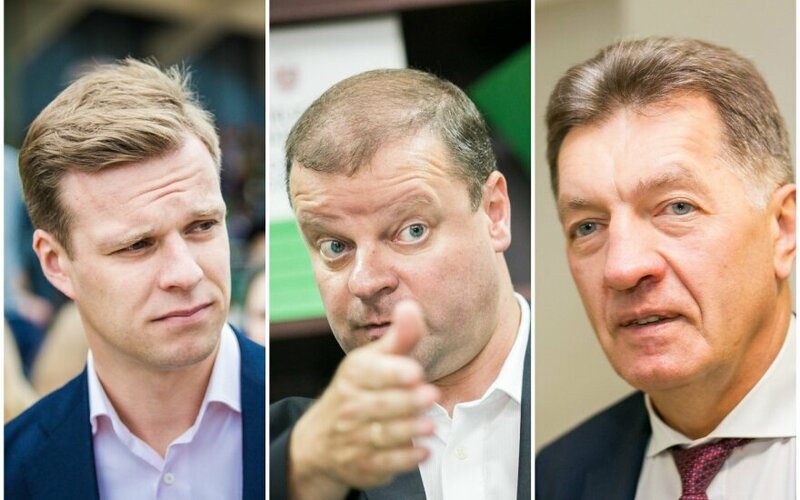 Both with the Homeland Union – Lithuanian Christian Democrats (TS-LKD) and the Lithuanian Peasant Greens Union (LVŽS) promise definite changes in Lithuanian tax, security and foreign policy political scientist Algis Krupavičius told LRT.lt. But how these changes will come about will be very different depending on which party will be in charge he says. The leaders of the two leading parties also present the main highlights of the expected changes. Vilnius University Institute of International Relations and Political Science (VU TSPMI) professor Tomas Janeliūnas believes that the smallest changes, both with the TS-LKD and the LVŽS will be in foreign and security policy. Regardless of what coalition forms, the LVŽS lacks outstanding individuals in those spheres, except former ambassador Petras Vaitiekūnas, thus the Ministry of National Defence and Ministry of Foreign Affairs would most likely be left to their potential partners, either the Lithuanian Social Democrat Party (LSDP) or the TS-LKD. “In the first case we can expect at most a change of staff at the Ministry of National Defence, but no changes in general positions on security questions. If the cabinet was led by the TS-LKD, we can see an identical strategic line, however there would perhaps be nuances. For example if the Ministry of Foreign Affairs was headed by Žygimantas Pavilionis, it would be likely we would experience closer connections with the US, the Litvaks and even stronger rhetoric regarding Russia. However this does not change the base line. I believe that security and foreign policy has been performed truly professionally, thus radical changes are not needed,” spoke the political scientist. Meanwhile Kaunas Vytautas Magnus University (VDU) professor, political scientist A. Krupavičius notes that changes can be expected with both a coalition led by the TS-LKD and the LVŽS, but with different tactics employed. “It is likely that the LVŽS will be more moderate, more considerate. With the TS-LKD we will hear much rhetoric about change, but whether there will be an effort to listen to others, what they think of the proposed changes, that is dubious,” he says. The political scientist also observes that in the LVŽS team we can find economist Stasys Jakeliūnas, who endeavoured to draw up contours for tax reform while still acting as an advisor in the Butkevičius cabinet, thus this party should have a great deal of ambition in changing the Lithuanian tax system. “While working in the Butkevičius cabinet, he was unable to implement tax reform, however the LVŽS will definitely have an ambition to change the tax system and its direction will be increase in progressive taxation. The TS-LKD have prepared a very detailed programme, however the problem is that they believe they have a monopoly on the truth and are unable to hear other opinions. If changes are made in such a spirit, they will lead nowhere and the results will be opposite to those expected,” spoke Krupavičius. LVŽS Chairman Ramūnas Karbauskis claims he supports the continuity of current foreign policy. The politician does, however, note that the party position on the Astravyets nuclear power plant is harder than the current government’s. The LVŽS would also perform more active policy in negotiating with the EU on matters pertaining Lithuanian economic interests. According to Karbauskis it sometimes feels like our negotiators are not really negotiating. “On state security, if we are to speak of national defence, we are the only to support the idea of a universal reserve. This should be done by including reserve preparation into higher education study programmes, equally for both men and women. I believe that there is not a single man or woman who would not want to learn to use a weapon, other things. This way we would greatly increase state security. We propose to only draft those, who are not in further study,” the LVŽS Chairman told LRT.lt. He also points out that the party has a composite solution for reforming the tax system, increasing income tax and reducing others, so individuals would understand exactly just how much they pay the state. “We seek to reduce manifestations of the “envelope payment” culture,” commented Karbauskis. TS-LKD Chairman Gabrielius Landsbergis says that the party has many ideas for changes. According to him, foreign policy will need to focus on bilateral relations. “Regarding Linas Linkevičius and the current government’s foreign policy, we see mostly activity on the multilateral level, through the EU or the UN. The previously developing relations with Poland, other Baltic States and Scandinavia were somewhat abandoned. I believe that they definitely need to be renewed because this is important to our economic welfare, attracting investment and of course national security,” G. Landsbergis told LRT.lt. For tax policy, according to the TS-LKD leader, the party has several changes in mind, one of which is related to the tax-free income size. “We should consistently move to a system where the tax-free income size is calculated not from income tax, but from their entire income. This means that the most impoverished, but working people would feel a positive impact. On tax transparency and black market reduction, we proposed and will implement tax recalculation in a way that would remove the employer’s tax portion, this part would be indexed into wages. Physically nothing changes, but this way there could be more pressure for employers to not pay wages behind the counter,” said the TS-LKD Chairman. Speaking on security, he stated that in 2018 2% of the GDP should already be assigned to national defence. However he stresses that key changes should occur in the Ministry of National Defence’s public procurement system. “We should merge military procurements with Ministry of National Defence procurements, making the system more transparent, very clearly designating responsibility, perhaps opening a new section in the Public Procurement Service, which would overlook Ministry of National Defence purchases,” noted the leader of the Conservatives. 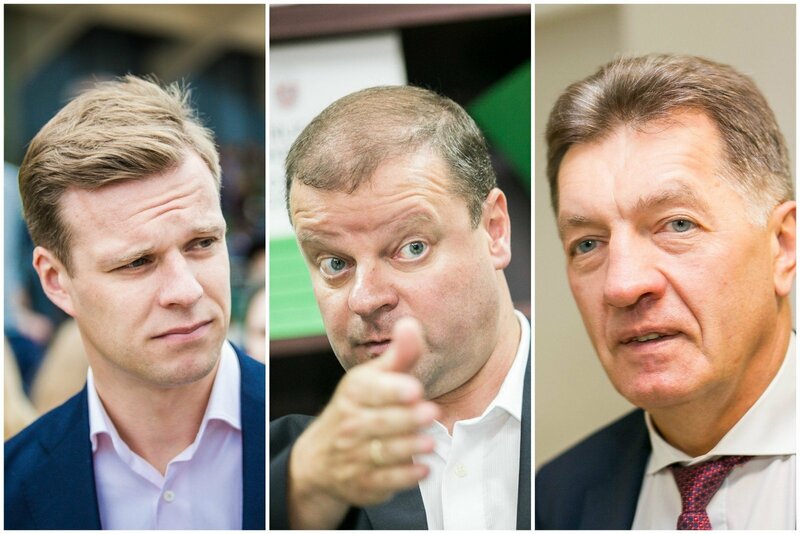 Why are many Lithuanian party leaders not standing for their parties in elections?